We are used to hearing of the fundamental contribution of Arrhenius to our understanding of the effect of atmospheric carbon dioxide on temperature. In the late 19th century he showed that atmospheric carbon dioxide alone, had its amount doubled or halved, would have caused temperature mutations of several degrees. But readers may be less aware that, following initial welcome for the theory, scientists “piled on to reject it”. It was another fifty years before scientists began to investigate greenhouse warming seriously and a further fifty before an international panel of scientists would corroborate Arrhenius’s finding. Arrhenius did not foresee those dire consequences, assuming, perhaps understandably from a Swedish perspective, that a warmer world would be more pleasant to live in. But by the late 20th century Nasa scientist James Hansen was in no doubt as to the malign consequences of warming for human society. The work of Hansen and his group dominates the latter pages of this section of Powell’s book. Hansen is respected not only for being one of the most productive modern climate scientists but also for being courageous and outspoken in his desire to warn, in every possible forum, of the dangers of global warming. When Powell wrote his earlier books on climate change a distinguished medical friend challenged him as to why he accepted the theory. To his reply that virtually all publishing scientists accepted anthropogenic global warming his contrarian-inclined friend rejoined that scientists have been wrong before. Powell’s subsequent research into the history of 20th century climate science enabled him to see that the “scientists have been wrong before” route had already been traversed in the years immediately following Arrhenius. For fifty years the “magisters of meteorology” favoured a debunking of Arrhenius which didn’t stand the course of time. They were wrong. As more scientists examined the data and published their findings the fundamentals became irresistible and the modern consensus emerged. This time it is right. Anthropogenic global warming has taken its place among the known facts of our planet. But reaching this point is not necessarily straightforward. Powell comments that where science is concerned we cannot trust our common sense. 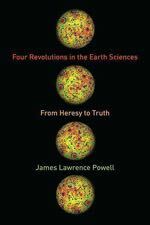 In all four revolutions covered in book the discoveries are counter-intuitive. Being able to make them is ”a triumph of human intellect, a testament to our ability to observe effects and reason back to causes”. “I am not a scientist” is the latest mantra of denial in the US Congress, as if that statement somehow justifies a refusal to act to restrain greenhouse gas emissions or even to understand what is at stake. It’s a disgraceful evasion of intellectual and moral responsibility. One doesn’t need to be a scientist to understand the thrust of the scientific theories explained in this book, as any general reader of the book can attest. The discovery of anthropogenic climate change may represent a triumph of human intellect, but that doesn’t put it out of reach of average human understanding. No patient reader of Powell’s book could come away confused about the scientific understandings it details, least of all about how well established is the science of climate change. American scientists have played a prominent part in climate science. It’s hard to understand why any self-respecting American politician should continue to profess ignorance. Politicians only say ‘I am not a scientist’ with regard to climate change. On matters of finance, military, education and medical they are very happy to have opinions even when completely ignorant, which they usually are. A great calculator interactive app that allows you to check the climate impact of various changes to input parameters such as transport, diet, population….! After playing with it for a while I am astounded about the impact of diet on the climate outcome. If the calculator app is to be trusted, then diet choices have a far greater impact than many other factors such as transport energy or any of the other “variable sliders” combined! Have a go! Do I miss something? I have been playing with that calculator. Diet is the big one indeed yet even its fourth (extreme – India) level assumes meat consumption and dairy. I had difficulty wacking up renewables and pushing nuclear without being warned of an over-supply of electricity. Vegans and elimination of fossil fuels did not seem to belong, nor an increase in biofuels. It was not clear to me how to juggle demand. Interesting that a medical scientist should challenge Powell with “scientists have been wrong before!” He should know. Medical history is full of wrong paths being followed, and unfortunately are still. Arrhenius estimated that halving of CO2 would decrease temperatures by 4–5 °C (Celsius) and a doubling of CO2 would cause a temperature rise of 5–6 °C. In his 1906 publication, Arrhenius adjusted the value downwards to 1.6 °C (including water vapor feedback: 2.1 °C). andyS quotes some nonsense from a non existent journal only cited by denier sites. The first of which I could find was by the dishonest discount monk. If you Google “Journal of the Royal Nobel Institute” the only hits you get are to denier sites quoting a paper by Arrhenius. I wonder if andyS can produce a paper from this journal. Somehow I doubt it. You do realize that anyone including dishonest people like you and other deniers can put anything they want into wiki pages? Show me the actual paper and the reference. You see that is what being skeptical is all about, chasing down the truth and refuting dishonest nonsense. The whole of Wikipedia is wrong. In fact, the entire internet is wrong. I will seek out the handwritten scriptures from my local library and post them to you when I can. Svante Arrhenius, 1884, Recherches sur la conductivité galvanique des électrolytes, doctoral dissertation, Stockholm, Royal publishing house, P.A. Norstedt & söner, 89 pages. Svante Arrhenius, 1896a, Ueber den Einfluss des Atmosphärischen Kohlensäurengehalts auf die Temperatur der Erdoberfläche, in the Proceedings of the Royal Swedish Academy of Science, Stockholm 1896, Volume 22, I N. 1, pages 1–101. Svante Arrhenius, 1896b, On the Influence of Carbonic Acid in the Air upon the Temperature of the Ground, London, Edinburgh, and Dublin Philosophical Magazine and Journal of Science (fifth series), April 1896. vol 41, pages 237–275. Svante Arrhenius, 1903, Lehrbuch der Kosmischen Physik, Vol I and II, S. Hirschel publishing house, Leipzig, 1026 pages. Svante Arrhenius, 1908, Das Werden der Welten, Academic Publishing House, Leipzig, 208 pages. I don’t see why this is so offensive. It is a simple question. Too bad andyS didn’t read what Arrhenius actually wrote since Arrhenius was referring to the effect of CO2 alone and he was not including the feedback effect of water vapour. In a similar way, I calculate that a reduction in the amount of CO2 by half, or a gain to twice the amount, would cause a temperature change of -1.5 degrees C, or +1.6 degrees C, respectively. In these calculations, I completely neglected the presence of water vapour emitted into the atmosphere. So not the 1.6 C that you deniers would like to see but 4.0 C.
I should also note that this was not published in a peer reviewed journal but “Messages from K. Academy of Sciences Nobel Institute”. Why do you deniers always make things up? Why do you take such an objection to me lifting a quote directly out of Wikipedia? Maybe you could get someone to edit the page if you think it is wrong. So his estimate for warming including water vapour effects is 2.1 degrees C.
If you wish to check that, it is in the Wikipedia page I cited above. Liar or can’t you read? Why do you continually lie? This whole nonsense is just rubbish put out by you deniers trying to show that Arrhenius changed his number for climate sensitivity from 5C to 1.6C. In actuality he lowered it from 5C to 4C, big deal. Now stop your dishonesty and try and report honestly. Why do you continue to refer to me as a liar when I am directly quoting from Wikipedia? Which statement from Wikipedia do you specifically object to? I think a reasonable description of Ian Forrester is “troll”, since I started this line of questioning in good faith, and all I get back from you is a stream of abuse. EDIT, by the way, I try to attribute the quotes from a specific source. Perhaps you could do the same since I don’t know where you are quoting from. is not found in the original German version of Arrhenius’ paper. It was inserted by some dishonest denier. The English translation is also on the Fiends of Science web site. Now, a more dishonest bunch of “scientists” is hard to find so we can be pretty sure who inserted the lie into the translation which then got broadcast by all the denier web sites. Bizarre, you really have lost the plot this time. I really do think you need to seek some professional help. Stop your ad hominem comments, I find them just as nasty as you continually lying. The phrase “(including water vapor feedback: 2.1 °C)” is not in the original paper by Arrhenius. Therefore who ever inserted it was telling a lie. Just as anyone who repeats it is also lying. It pays to check your sources which of course proves that you are not skeptical but just a dishonest denier. OK, I will stop my “ad hominem” comments. However, feel free to shower me in constant stream of abuse. A point by point description please…. Which shows that the phrase in brackets above is a dishonest lie. All of this was described in my previous posts, why did you not read them and the link to the original paper before your nasty ad hominem comments? Calling you out as a dishonest liar is not abuse but is a truthful comment on your behaviour. If you do not like it there is a simple solution, stop telling lies! Still; no attribution for those quotes. If you really think I am “lying” by copy and paste from Wikipedia, then I suggest you either edit the page yourself or get one of your chums to do it. After all, a lot of students rely on Wikipedia for their work, and we would hate to see them fail their degrees for “lying”. Good on you Ian. When I read Andy’s unreferenced quote I found the source in Wikipedia immediately and then found the denialist tosh that the insertion into wikipedia was probably pasted from. The statement in question was obviously faked as the implication was that Arrhenius had reduced his estimate of 5-6°C to 1.6°C with no range indication. I also reached the conclusion you did. Thanks for your further quotes from Arrhenius on the question. I now and then drop in on the Wikipedia entry for John Tyndel just to see if CO2 has got a mention again. On one day I saw references to CO2 changed or deleted , then reinstated several times. So yes there are liars ammending CO2 references in Wikipedia on a continuing basis. Obviously they count on people not having the nous to search out the original sources. I will try to find the German original in case I get accused of “lying” because this might have been tampered by “deniers”. amount, would cause a temperature change of – 1.5 degrees C, or + 1.6 degrees C, respectively. is absorbed by the water vapour is not influenced by the CO2. No doubt, “Friends of Science” will be dismissed as a “denier” site, but unless this translation is deemed to be falsified, I will in the meantime take it as a fair and accurate translation of the original German paper, which I am still trying to find. n these calculations, I completely neglected the presence of water vapour emitted into the atmosphere. Maybe you are not a dishonest liar merely completely incompetent. I will let the readers decide for themselves. By the way I linked to the German original in my February 3rd, 3:50 pm post. I also see the statement, in the original German which cites the 2.1 degree claim that I just cited. Ànderung des Kohlensauregehalts im Verhaitniss 1 zu 2 die Temperatur der Erdoberflache um 2,1 Grad verandern wurde. The 2,1 Grad is 2.1 degrees. Extract from article on Arrhenius from the American Geophysical Union. Why are you spamming the thread with duplicate comments when we have been told to take the discussion to an open thread? Lying again, I have linked to the German paper above. Good grief why does Gareth put up with your dishonesty? It is a simple request. Rather than spent umpteen hundred comments telling me that I am dishonest, why don’t you fix the internet? If you know the internet is broken, why don’t you do something about it? Hey Forrester, have you seen the wiki page for 97? It should be interesting to members of your cult since 97% of scientists agree. Is it true? Have you checked all the links? Have you got the originals in German or whatever, dutifully translated them and doubled checked? Imagine that Ian Forrster, an entire infinity of Wikipedia pages on the integers that may contain lies from deniers. You need to check them all. Think of the children. Their minds are being positioned by despicable liars telling despicable lies about numbers. You can’t be sure, but since there is potentially an infinite number of said pages, there may be an infinite number of despicable lies, and an infinite number of despicable liars who quote these lies. AndyS I don’t like accusations of lying made by either side in this debate, however the paper you quoted looks to be fake or altered. At least have the good grace to admit it. And you miss the point by trying to harp on about the exact amounts of Arrhenius calculation. Clearly the essential nature of his prediction has come true to the extent that temperatures have increased about 1 degree so far. If you don’t comprehend the significance of this, you might as well give up. I didnt quote a paper, I cited Wikipedia. If you think it looks faked or altered, then fix it. If you think I am going to have any “good grace” while crazy man Forrester is screaming at me, then think again. I have come across Islamic Jihadists who seem more rational than Ian F.
The problem is Andy, that you never seem to concede that the message you would like to find in some Arrhenius paper was different from what you thought it was. It seems that there are still people out there who are totally desperate to talk down the AGW threat and, with no real evidence whatsoever to go by, resort to making up contrived stuff, even putting words into Arrhenius’ mouth that he did not say. You must concede though, that Arrhenius was rather good in predicting what would happen if we continue increasing CO2 in the atmosphere, given the state of knowledge about the climate of Earth at that time. Andy, its truly time to let go of the pipe dream that AGW is not happening, has paused or is not a major issue for humanity and the planet. Its about time that you concede that you have been barking up the wrong tree all these years. The game of denial is truly over and no rhetoric or word mincing will change that. If you carry on holding the torch for the last bastions of denial, the Moncktonians or the deluded Republican veterans in the USA, you will simply look entirely stupid. So how about you get on with bringing change about. If its thorium reactors that you think we should have, great, champion these. We will need them most likely and people need to work towards this end just as well as others will work on extending solar and wind and other alternatives. As I said many times before, the solutions we need can not fit into just on basket. We need a lot of different but cooperative technological strategies to get off the carbon fuel bandwagon and we will need to accept changes to our lifestyle if want to carry on living as a civilized society. Gareth, please stop andyS from using such abusive language. I have been honest in my comments, unfortunately andyS does not like rational and honest comment about his behaviour. Then, despite you not knowing about this Wiki page, you then claim that you know it is wrong and I am “lying” by quoting it. Strange, since you didn’t know about the Wiki page a few minutes earlier. Then, you pull up a scan (in Geman) of an original paper and claim that it contradicts some part of the original claim, without explaining how and where. Nice to see that your support crew has turned up too. Ian, Andy will be delighted to have created a faux debate with you over an 108-year-old paper, to distract from the demise of the “global warming stopped in 1998” canard. It is not a “faux debate”. I don’t really have that much interest in a 108 year old paper, except that this blog post is about the early history of climate science. I even got this quote from the very link that Ian Forrester posted himself yet failed to spot or mention. I hear the sound of crickets …. AndyS. The original wikipedia material you quoted (I will take it you did this in good faith) claims that in the latter 1906 paper by Arrhenius he claimed that doubling CO2 would cause a temperature rise of about 2 degrees, “including” a water vapour feedback. However when you look carefully at that paper this is not the case, the temperature change is about 4 degrees. I’m using the english translation linked in “your” post. So the wikipedia entry looks misleading to me and has not included the full statements made by Arrhenius. This is also apparently what Ian Forrester is saying. I can’t see anything wrong with Ians statements, they are the same as what I have read in the english version near the beginning of the paper. I am looking carefully. Really carefully. Come on Forrester, surely you have read your own reference? Good grief can’t you understand what you are reading? Whe he includes water vapour he gets what Nigelj and I have been telling you approximately 4C. Stop your what ever it is you are doing to confuse people with as little knowledge as yourself. (See I didn’t call you a liar). Get it into your head he has lowered his estimate for CO2 sensitivity from 5C to 4C, not the 2.1 C that you and your fellow deniers are promoting. Fascinating, so who is concerned with a decrease by 50% in CO2? I will be honest in that I don’t understand exactly what Arrhenius meant in your first quote. It can be interpreted in a number of ways. It is still in the section where he does not include water vapour. The reason that Arrhenius is using a quote using 50% reduction, is that this is essentially the same as 100% increase i.e. the effect of a doubling of CO2 concentration, 50% to 100% is a doubling in the same way as 100% to 200% (a 100% increase). Too bad that someone who claims to have a degree in maths cannot see this obvious connection. You are assuming that the climate can work in reverse gear. Climate sensitivity is the effect of doubling CO2 concentration since IR absorption is logarithmic. Thus going from 100 to 200 or 200 to 100 or 50 to 100 or 100 to 50 are all the same. I would think it does. If you increase CO2 and temperatures increase then subtracting CO2 would lead to a decrease wouldn’t it? There is evidence from past climate history that periods of high CO2 are consistent with high temperatures and periods of low CO2 were consistent with low temperatures ( as CO2 was absorbed by the oceans). Simple account in link below. I don’t really care. My original question remains unanswered, and despite a torrent of abuse, I have proven that the Wikipedia quote is not a lie and is backed up by the original paper. It is not backed up by the original paper. Arrhenius revised his climate sensitivity from 5C to 4C when you include water vapour effects. That is not what you and the wiki article claim so you are wrong. Good grief you lack in maths skills, you lack in logical thinking, you lack in science skills and you lack in h….!!!! OK: Andy, Ian et al. This conversation is now officially a million miles off-topic. I have deleted or snipped comments that do not meet the comment policy (though I have been lenient). Please stop the invective, and take any further discussion of Arrhenius to an open thread, of which there are many. This pattern of Earth sciences resistance to heterodox ideas continues in some major ways — notably regarding the reality (or not) of mantle plumes. Plumology has become the dominant paradigm even while failing one empirical test after another. Solid papers questioning this orthodoxy exist, but it’s hard to get them past gatekeepers. Have you any in Science or Nature? Arrhenius is off topic for this thread. AndyS. I’m not spamming anything, as I simply made a mistake on placement of my comment. I didn’t see Gartheths instruction to take comments to an open thread, however I see it now, however I notice you have ignored it anyway. Read my comment anyway. You are wrong on the Arrhenius issue, and cant admit you are wrong. Typical of you. However I will leave it at that, given Gareths request to move on. I am not wrong. I was being accused of “lying” because I quoted a Wikipedia page that apparently was not supported by the original work. Certain groups and Donald Trump, however, have latched onto so-called “wind turbine syndrome” as a great excuse for hating on wind energy. The Koch-affiliated, climate denying Heartland Institute… made much of the announcement (but little of the larger body of research) as an argument against the state’s renewable energy mandate. The strong correlation between political conservatism and climate change denialism is likely the result of several factors: conservative political parties have stronger links with business, and particularly big business, many sections of which have a strong interest in preventing action to address climate change; and government intervention of the kind required to address climate change, even if via a market-based mechanism, is inconsistent with the small-government rhetoric of modern conservatives. But it also appears to derive from the conviction that climate change is a political rather than scientific issue. Framing it thus requires conservatives to oppose the existence of climate change and any action to prevent it because to acknowledge its existence is, they believe, to hand a win to their enemy: progressives. That kind of Stupid lies behind the death threats and savage abuse directed at climate scientists, who are perceived as political opponents by denialists, not researchers dispassionately explaining the evidence before them. Denialists are a form of economic parasite preying on their own offspring, running up a bill they’ll die before having to pay. And every year of delay increases the costs that future generations will have to bear. You inspired me to toddle off and download the book, Rob! Thoroughly enjoying their take on The Stupid! Andy is back on moderation for those last two distasteful comments. Rob: a warning. Keep it polite. Here, here Gareth, I was wondering when you were going to step in. The comments were not only OT but also discraseful. There are also plenty of examples where warming did trigger positive feedbacks. Tony, I dont thnk the BBC article is saying there are no positive feedbacks, just that they would not run out of control, and are not beyond what modelling currently assumes for positve feedbacks. You are right, clearly there is evidence in the arctic for positive feedbacks and the affect could be profound given the location of Greenland. I thought the wording was at least a little misleading,. Yes I agree Tony that the BBC were unclear, and this is half the problem in the climate debate. Poor communication. And yes I had read that article on Greenland, but many thanks. Greenland is certainly an issue. This is another thing with the climate debate, there are a huge range of issues and impacts around the world already, and the more I come across the more convinced I am we have a problem. For example I saw this television programme about rivers in Bangladesh causing considerable erosion and land loss, all due to increased melt water due to changes in the Himalayas glaciers. And AndyS complaining about wind turbines being off topic. The irony. The emperor truly has no clothes. OK, Gareth, but I plead provocation as an extenuating circumstance. I did like Andy’s “Eco prayer wheels” riff on wind turbines, though – could that be restored for posterity? Hot Topic can and will disappear up its own self loathing backside… the only reason they hate me is because I am not a believer, I am an infidel. Apparently, Hot Topic is now a just a front for ISIS – or, even worse – Greenpeace! Interestingly, all of this venom erupted when I linked Heartland to Andy’s wind turbine schtick. Perhaps he needed a diversion? To prove his point, Huckabee referenced Obama’s State of the Union, which referenced climate change as a major security threat to the United States. “I assure you that a beheading is much worse than a sunburn,” Huckabee said. Goodness gracious, could AndyS merely be following a script out of the US “Heartland”? test posting as there have been issues. I am bemused however to see 77% of scientists think climate change is a serious problem, but then 52% are in favour of more off shore drilling. Its like if you ask people, they want better education, better healthcare, reduced debt but then at the same time they don’t want to pay more taxes, preferably lowering taxes. I thought scientists might be above this type of irrational logic but perhaps not.